Visit the NI Community booth at NIWeek! 2016 NI Engineering Impact Awards: Community’s Choice Award voting is now open! dortiz651 on: Are you interested in seeing past NIWeek videos? Greg_pCPI on: Need to Know Where to Find the NIWeek 2013 Keynote Videos? NIWeek keynote presentations deliver the latest advancements in design, research, and test from leading technology thought leaders. Join us August 2-4, to learn how you can accelerate productivity, innovation, and discovery with National Instruments. Visit http://www.ni.com/niweek/livestream/ to stream the broadcast. NIWeek 2016 is only days away! For those of you not familiar with NIWeek, this year marks the 22nd annual conference presented by NI. Beginning August 1st in Austin, Texas, NIWeek once again brings together the brightest minds in engineering and science. More than 3,200 innovators representing a wide spectrum of industries, from automotive and telecommunications to robotics and energy, will discover the latest technology to accelerate productivity for software-defined systems in test, measurement, and control. Haven't registered for NIWeek yet? It's not too late! Register here. Coming to NIWeek? Check out our top 5 tips to help you make the most out of your time in Austin. The NI Engineering Impact Awards is our annual technical application contest, showcasing the most extraordinary and innovative projects NI customers have created. A technical panel of judges has narrowed down the nearly 100 submissions to 14 finalists across the seven application categories. Now it’s your turn to vote! At the NI Engineering Impact Awards ceremony, held during NIWeek, we will honor the NI Community’s Choice Award winner: the submission selected by you, the NI community of engineers and scientists. Click the "read more" link below for a brief description of each finalist's application. Click the titles for full papers. Once you’ve picked your favorite, you can cast your vote here before Monday, August 1, 2016 at 5 p.m. CT. Easy as that! Tell your friends, family, co-workers, and anyone else in your online network to vote. Let’s make sure the Community’s Choice Award goes to the coolest, most deserving application. Our 22nd annual NIWeek conference brings together the brightest minds in engineering and science to our hometown of Austin, August 1-4. We can’t wait for this year’s event! Not sure about going? Here are the top 5 reasons we think you should attend. Welcome to the NIWeek 2016 community area! This is the place to stay up to date on everything related to NIWeek 2016 -- from the agenda to the speakers to the parties! You can also connect with other attendees, ask questions, and provide feedback. We look forward to helping you make your NIWeek experience more successful! 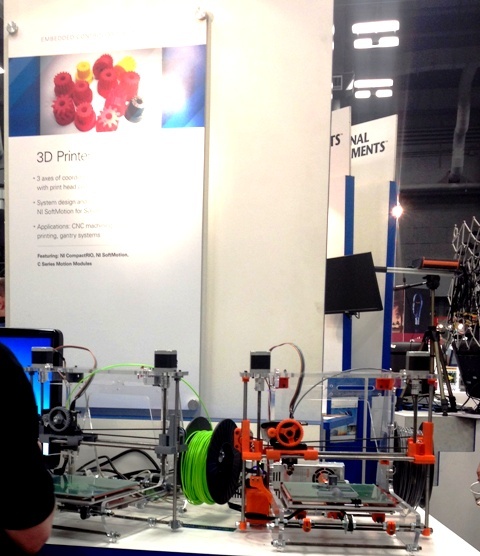 If you weren't able to see all the NIWeek Demos in the Expo, click here. Are you interested in seeing past NIWeek videos? You can find the keynotes at ni.com/niweek/keynote-videos/ and see more on the playlist at NI YouTube channel. We are currently finalizing the NIWeek 2015 Track and Summit technical and hands-on topics. The online catalog can be found here. The session schedule will be available in mid-June. Session times will be posted in the online catalog and through the NIWeek 2015 mobile app. NIWeek is the ultimate learning environment, connecting both novice and expert users for three days of interactive technical sessions and hands-on sessions, case study presentations, and panel discussions on the latest advancements in design, control, automation, manufacturing, and test. View the 2014 online session catalog, sort by the sessions by products featured in that session, industry focus, technical level and by track or summit. Need to Know Where to Find the NIWeek 2013 Keynote Videos? You can find the keynotes in their entirety on both ni.com/niweek/keynote-videos/ and the Experience NIWeek 2013 playlist on the NI YouTube channel. Check out some of the highlights from the conference below. >> Register for NIWeek 2014. Every Friday from now until NIWeek, we'll be giving you a sneak peek into NIWeek 2013. We’ll bring you interviews with session speakers, highlight key exhibition floor events and demos, and do whatever we can to help you get the most out of your visit to Austin, Texas. In this episode, learn about some great presentations during Monday's Academic Forum and the Academic Pavilion featuring the LabVIEW Campus Tour Bus. Hear from Dr. Ed Doering about how his students have triangulated the truth. 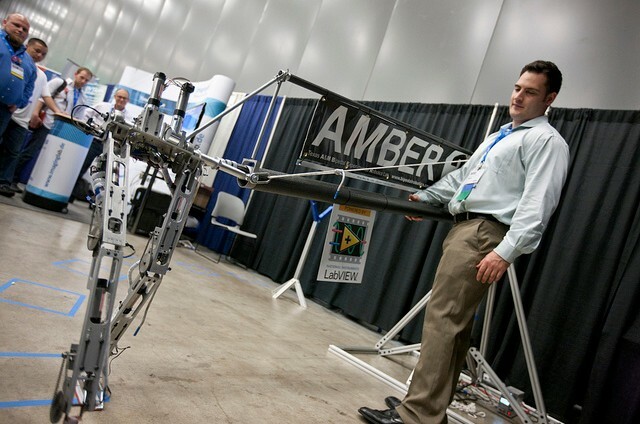 Get a sneak peek at some of the cool robotics demos on the show floor. Find out how you can come see NI corporate headquarters. Finally, discover some of the ways Austinites stay fit and you may even be inspired to join in! >> Find out more about Monday's Academic Forum. >> Explore the NIWeek conference content. >> Browse sessions in the online catalogue (access the mobile version here). >> Register for NIWeek 2013. >> Find a crossfit gym in Austin. >> Learn how to continue your NIWeek experience at NIDays. In this episode, learn how you can get more information on how NI technology is used in a wide range of application areas. We'll be highlighting the Transportation and Energy Technology Summits, as well as the Scientific Research and Lead User Pavilion. Learn more about the popular keynotes that kick-off each day. Finally, find out some places that will help you test Austin's title of being the live music capital of the world. >> Watch the keynote livestream and get more information on the keynote presenters. >> Find out more about NI solutions for transportation applications. >> Learn more about Lawrence Berkley National Lab's FLEXLAB. In this episode, learn about the Vision and RF & Wireless summits and pavilions at NIWeek. Find out where you can catch one of the leaders in RF & Wireless, Dr. Ted Rappaport. Hear about some of the cool things on the exhibition floor. Finally, get recommendations on where you can eat the best burgers in Austin. Tuesday, August 6, 10:00 a.m.–7:00 p.m.
Wednesday, August 7, 10:00 a.m.–6:00 p.m.
Thursday, August 8, 10:00 a.m.–1:00 p.m. The NIWeek Exhibit is held in Exhibit Halls 2 and 3. >> Learn more about conference content. >> Get more information on the exhibition hall (view the map here). In this episode, learn how to find out about innovative technology and applications used in the aerospace & defense industry at NIWeek through the pavilion and summit. Hear ways you can stay connected and stay informed through social media. Lastly, get tips on how to escape the infamous Texas heat and see Austin from different vantage point through activities in and around the water. In this episode, you'll hear about Big Analog Data how you can learn more about it at NIWeek. You'll also find out about the interesting sessions from the Data Acquisition Systems track. Finally, hear about the features of the NIWeek mobile app and the best places to get a genuine Tex-Mex taco in Austin. >> Access the NIWeek app in your browser. The Graphical System Design Achievement Awards (GSDAA) is the National Instruments annual technical application contest, showcasing the most innovative projects based on NI software and hardware. Technical judges have whittled down more than 150 submissions to 18 finalists, two for each application category. Now it’s your turn to vote. This year’s Graphical System Design Achievement Awards ceremony, held during NIWeek at the Four Seasons Hotel Austin, will honor the Community Choice Award Winner: the submission selected by you, the people, the NI community of engineers and scientists. Voting closes on Monday, August 5, 2013 at 5 p.m. CT.
Read the brief description of each submission listed below. You can also read the full paper of each submission by clicking on its hyperlink and downloading the PDF attachment - and they are ALL worth reading in full! When you are ready to cast your vote, click on the hyperlink for each paper that you like (yes, you can cast more than one vote). Once you’ve navigated to the specific community page for the finalist paper, be sure to click on the “Like” button at the bottom right corner of the page. Once you’ve “Liked” a finalist, you've cast your vote! Note that while you can “Like” multiple submissions, you are only able to “Like” each finalist once. “Liking” the same document multiple times will not result in multiple votes for the same submission. Tell your friends, family, co-workers, and anyone else in your online network to vote. Seriously, the more votes the better. But please be cool and don’t try to game the system. Let’s make sure the Community Choice Award is given to the coolest, most-deserving application. Voting will close on Monday, August 5, 2013 at 5 p.m. CT. The finalist with the most "Likes" will be honored at the GSDAA ceremony on August 6, 2013. Submit any questions or comments about the voting process in the comments section below. >> Learn how to submit your own paper to the Graphical System Design Achievement Awards. >> Register for NIWeek to experience the conference and exhibition alongside the GSDAA finalists. Author: Andrew Clegg, Industrial Systems and Control Ltd. Challenge: Creating a system to safely transfer personnel and equipment to and from offshore wind turbines in rolling seas and bad weather. Solution: Using NI LabVIEW and NI CompactRIO to develop a movable gangway with an algorithm that computes the inverse kinematics of the gangway tip using measured boat motions to provide the required hydraulic cylinder lengths to maintain its position. Challenge: Automating and controlling the various operations of a 0.3 m wind tunnel that runs in subsonic, transonic, and supersonic modes. Solution: Automating and controlling the movement of the model based on a predefined sequence inside the wind tunnel and monitoring system parameters, alarms, and interlocks in real time while achieving the desired MACH number within the specified test time. We designed the data acquisition and control system for the trisonic 0.3 m wind tunnel using NI PXI hardware and NI LabVIEW system design software. Challenge: Developing a distributed control system for 300 quadruple magnets to generate a magnetic field that controls a particle beam of protons or carbon ions with 1 ms synchronization. Solution: Implementing a fast control system based on NI FlexRIO hardware, the NI LabVIEW FPGA Module, and a real-time embedded controller to meet stringent latency, throughput, and scalability requirements while maintaining the flexibility to implement advanced software solutions with predictable time and cost. Authors: Gao Jie, Ralf Edinger, and Dmitri Sandler, PAVAC Industries Inc. Challenge: Developing a multiaxis motion and programmable logic controller (PLC)-style control system featuring time-critical synchronization and signal generation. Solution: Using NI PXI hardware to replace traditional PLCs, integrating multiaxis motion control seamlessly with the National Instruments LabVIEW NI SoftMotion Module, and solving time-critical issues with the LabVIEW Real-Time and LabVIEW FPGA modules. Challenge: Optimizing our fault-localization tool to address complex failure analysis cases on integrated circuits. Solution: Improving the performance of our PXI-based tool dedicated to parametric fault localization by setting a “handshake” mode between NI modules and building digital variation maps. Challenge: Developing a small-footprint, automated, high-throughput system for the manufacturing test of hearing aids that can scale with new specifications and technologies. Solution: Building a turnkey, PXI-based, single-enclosure solution, the GN ReSound DSA 6000, which includes a custom PXI module to test each hearing aid to our internal standards while testing to the industry’s ANSI 3.22 and IEC 60118 specifications. Challenge: Developing a system for students to study photovoltaic, wind, and solar thermal energies, along with a small, portable version of the system. Solution: Using NI ELVIS and a modular add-on board with an NI LabVIEW driver to create a system for studying renewable energies with an NI myDAQ device for the portable version. Challenge: Introducing seventh- and eighth-grade students to the fundamentals of digital data transmission using radio waves as part of a technology-exploration program involving students from Martin-Andersen-Nexö Gymnasium School in Dresden, Germany. Solution: Using an accessible software defined radio platform with an intuitive graphical programming approach so that young students can explore and understand relatively complex topics in radio frequency (RF) and communications theory. Challenge: Building a system to measure and control the behavior of a wind turbine blade to improve the efficiency of wind turbines. Solution: Using NI CompactRIO, NI EtherCAT, and NI industrial controllers as well as NI LabVIEW system design software to build an intelligent measurement and control system that helped us further optimize the efficiency of our wind turbines. Challenge: Developing a distributed photovoltaic (PV) system that overcomes the common performance challenges of a centralized PV system, such as those caused by shadows, temperature, or a mismatch between panels, and increases total energy efficiency. Solution: Using NI Multisim, Ultiboard, and LabVIEW software with the NI sbRIO-9642XT embedded control and acquisition device to design and develop all of the components of a distributed PV system from the simulation of the electrical characteristics of the converter and the maximum power point tracking (MPPT) algorithm to a rapid prototype of the printed circuit board (PCB). Challenge: Addressing three major challenges when developing a new, ultrasmall-diameter, sophisticated ultrasonically activated scalpel (UAS). It needed to have a flexible measurement and control system that could be used during R&D, the ability to measure and control all signals, and the ability to gather the data required for filing for approval from the Pharmaceuticals and Medical Devices Agency (PMDA) in Japan. Solution: Standardizing on the NI platform, including the NI PXIe-8133 controller and NI LabVIEW system design software, to create low-end (stand-alone), midclass, and high-end (FPGA) versions of the same system while maintaining the quality of the systems. Challenge: Requiring ankle-foot prostheses under test to precisely follow a complex trajectory and loading profile while stepping on a tilting foot platform from heel-strike to toe-off, under the new ISO 22675 testing standard. In addition, the system needs to withstand a long repeated testing period while being flexible enough to adapt to different prostheses designs. Solution: Using the NI sbRIO-9602 controller as the control platform while integrating NI 9215 and NI 9411 C Series modules to capture load cell and encoder signals. The FPGA on the NI Single-Board RIO controller was programmed for high-speed, precise, and synchronized motion control of the two servo motors, and a human machine interface (HMI) was programmed on the real-time OS to handle the trajectory generation and detect prosthesis failure. Challenge: Keeping wireless local area network (WLAN) test costs low and test accuracy high while reducing characterization times as device complexity grows by tracking an increasing number of wireless standards. Solution: Using the NI PXI-based vector signal transceiver and the NI LabVIEW FPGA Module to create a customized, flexible WLAN test system that delivers a 200X reduction in test time compared to previous rack-and-stack instruments, resulting in lower test costs and better device characterization. Challenge: Meeting the cable industry’s needs to properly validate, measure, and certify cable-modem termination systems (CMTSs) and customer-premises equipment (CPE) in highly realistic laboratory conditions. Solution: Using the NI vector signal transceiver, NI LabVIEW system design software, and the LabVIEW FPGA Module to develop an FPGA-based channel emulator that simulates and synchronizes a full-featured cable network while applying a host of channel impairments to test the performance of broadband devices. Challenge: Reducing human exposure to hazardous environments by developing a system to perform maintenance inspections on industrial mud pumps used in oil and gas exploration. Solution: Deploying an embedded system with NI CompactRIO hardware and NI LabVIEW software, which can easily be retrofitted onto existing pumps, to monitor and analyze mud pump vibrations. Challenge: Creating a continuous structural monitoring system that delivers highly sensitive and stable strain measurements of a large structure in a challenging environment. Solution: Developing an optical sensor system based on the NI PXIe-4844 optical sensor interrogator that consists of fiber Bragg grating (FBG) strain gages distributed on optical fiber, which is immune to lightning and other environmental effects. Challenge: Developing advanced stability control theory and applications to manage multiple-unit articulated vehicles as well as hardware to implement the stability controls on a test vehicle. Solution: Using the NI PXI platform with M Series DAQ devices to prototype a multiple-unit vehicle measurement and control system along with NI LabVIEW Control Design and Simulation Module to assess the vehicle’s dynamic state, evaluate system stability (current and predicted future stability), and apply corrective actions as needed to maintain stability. Challenge: Creating a hardware-in-the-loop (HIL) test system to simulate, control, and monitor passenger vehicle fuel cells developed by Ford Motor Company. Solution: Basing the test system on the NI VeriStand real-time test environment, the Wineman Technology INERTIA control software add-on, and NI PXI hardware, so that Ford can test a variety of fuel cells with a single test system. In this episode, hear about Embedded Systems sessions and pavilion demos that showcase interesting applications from a wide range of industries like energy, life sciences and advanced control. You'll also learn more about training and certification opportunities at and around NIWeek. For the movie buffs out there, find out which movies and TV shows have been filmed in Austin and the best places to get your dose of Hollywood in the good ol' ATX. >> Get more information on training and certification opportunities at NIWeek. In this episode, we'll be hearing about some can't-miss sessions in the Software Development track and the LabVIEW pavilion. Finally, hear about some events that help keep Austin weird. >> Learn more about the LAVA BBQ. In this episode, we'll be hearing about the Automated Test Systems track and the Automated Test and Data Acquisition pavilions. Also, don't miss the section on the best BBQ joints in Austin! See what attendees learned and enjoyed about NIWeek 2012 and why they think you should attend NIWeek 2013. The 3,500+ attendees at this year's NIWeek were awfully busy. Drinking over 1,800 gallons of coffee (that's enough to fill four hot tubs). Taking over 1,100 photos at the NIWeek photobooth (see a few of them here). You can join in on the fun at next year's NIWeek, which takes place August 5 to 8, 2013. >> For more information on registering, visit the NIWeek section of our website. Thank you National Instruments for partnering with Airwolf 3D on this LabVIEW demo! We had a great time attending the conference, meeting new people, and talking about our 3D printers. Now that you have seen our amazing LabVIEW-powered 3D printers in action, you may be interested to know that we are offering a $50 discount to NIWeek attendees and NI employees. To take advantage of this promotion, please enter the promo code "NIWEEK" at check out. This offer will end on August 27th. Thank you for having us in Austin! Thanks to Ramsey Nasir from the LabVIEW team for this recap! The "XControls in Theory and Practice" session was presented by Michael Porter from Lime Instruments. Mike is a Certified LabVIEW Architect and a LabVIEW Champion, so he has a lot of experience both developing in and talking about LabVIEW! He also happens to be a self-taught expert on XControl development. XControls are customized LabVIEW controls that have VI code to support custom functionality. Mike discussed how XControls allow a LabVIEW developer to encapsulate control code and appearance for easy reuse. After describing the basic internal workings of XControls, Mike stressed that XControl code needs to be "able"- readable, scalable, and maintainable. It's good advice for writing software generally, but doubly important for XControls, which are both complicated and expected to be reused by other LabVIEW developers. In addition to dispensing sage software engineering advice, Mike demonstrated several tricks for XControl developers, such as naming XControl properties so that they are nicely organized in property node popup menus and a way to store the XControl's internal state that completely avoids versioning issues. But possibly the biggest hit of the afternoon was his "probe VI" technique to easily see all of the important data inside an XControl without using breakpoints. Several attendees took photos of his block diagram so they could take it back to work with them to use in their own projects. We had a blast, and we hope you did too. Keep visiting the NIWeek community to view presentations or demos you may have missed during the conference. See you at NIWeek 2013!